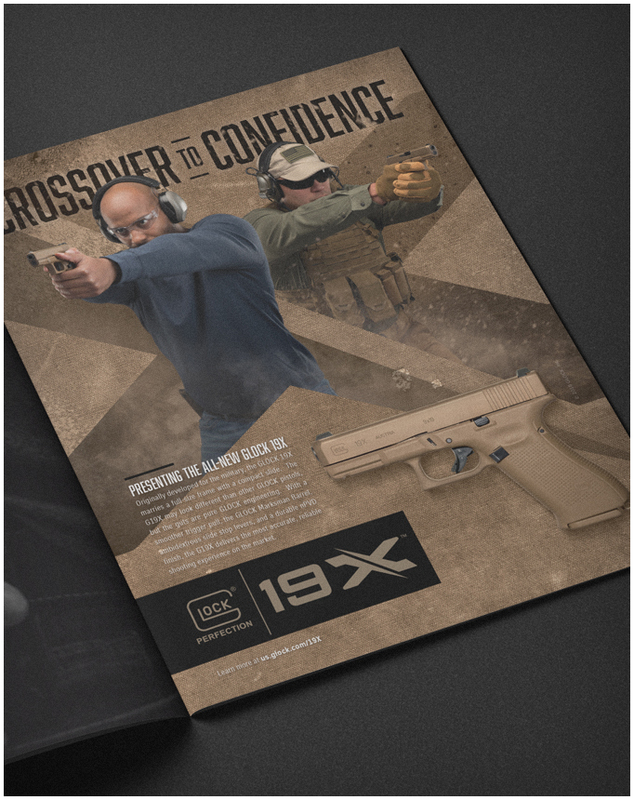 GLOCK Inc. needed a concept to introduce their new crossover category and the debut of the G19X pistol. 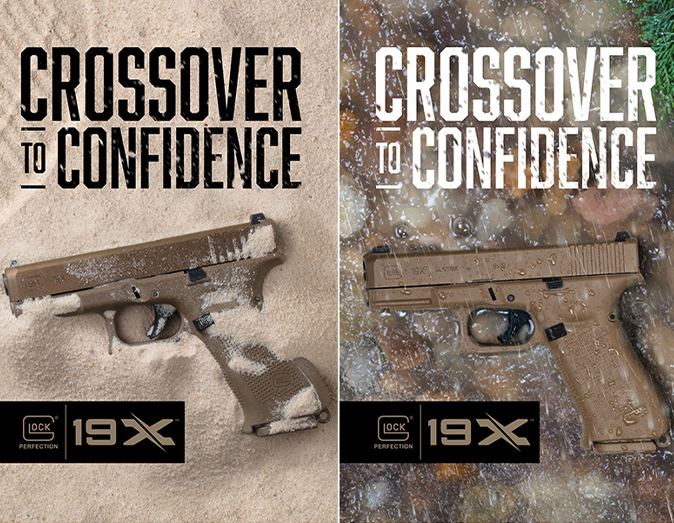 Created from the design of the MHS pistol, the G19X crosses the frame of the GLOCK 17 with the slide of a GLOCK 19 with multiple new enhancements and features as requested by the bid for US Army sidearm contract. The concept Crossover To Confidence would support the category debut as well as subsequent launches of the G45 and Silver Slimline Series (G43X and G48). 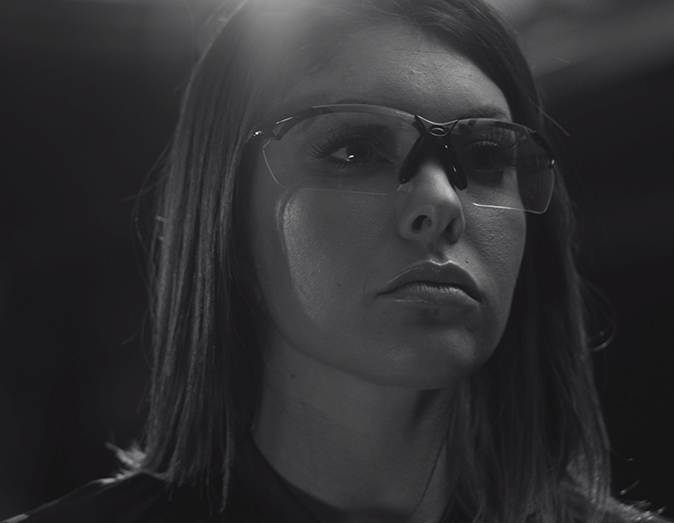 To create hype for the launch, we produced a video featuring Team Glock and the 19X as well as a few other new members to the Gen5 family. We worked closely with Team Captain Shane Cole and our production team to help develop a specialized cinematic look supported by dramatic cuts and custom sound design to take fans on an exciting ride for the launch. 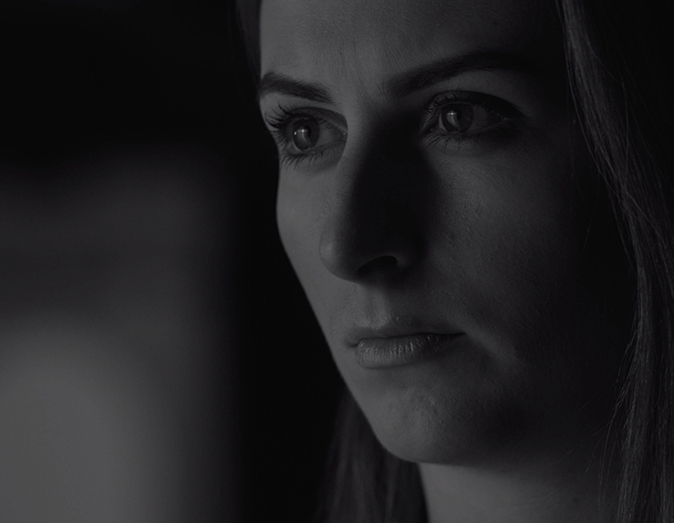 This video subsequently took home a total of 10 Telly Awards, among them, a Gold Telly for Best Branded Content. 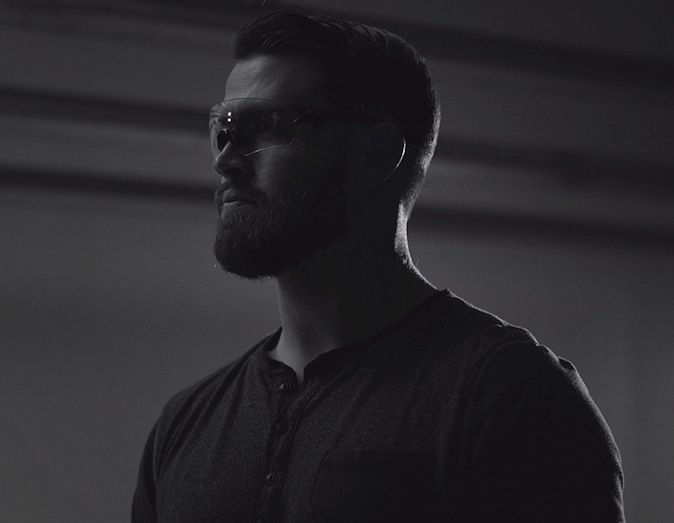 From the hype video launch, we took to the studio to obtain some rugged shots of the new model. 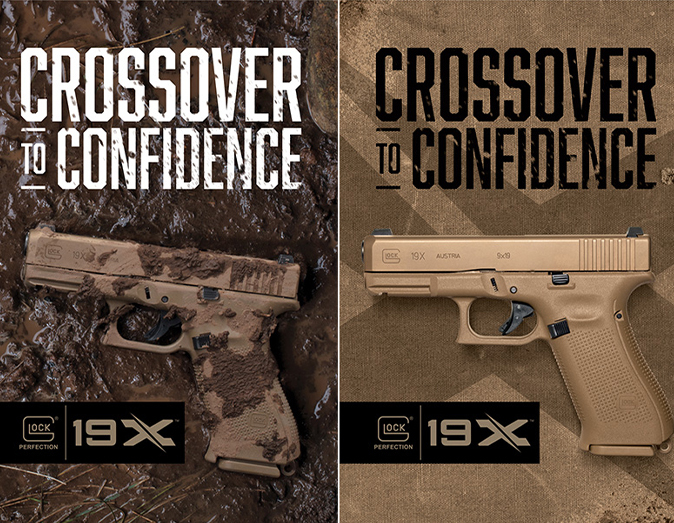 Sand, mud, rain and snow became the elements that would communicate the reliability by which Glock is known. 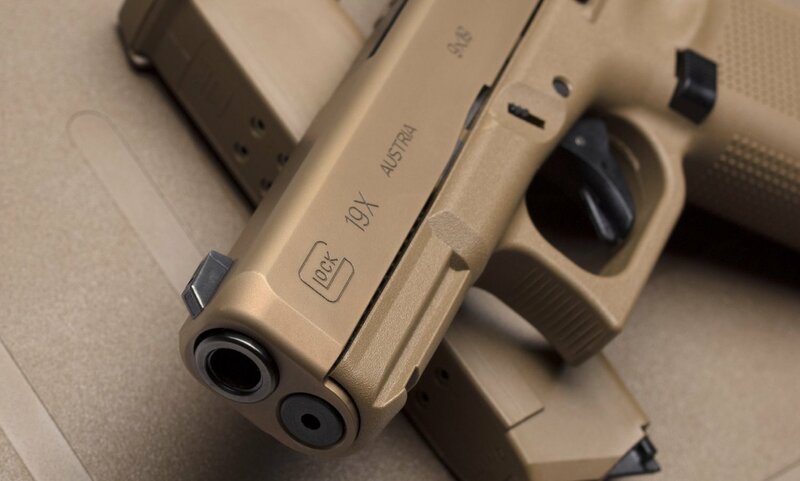 The mil-spec Glock was now civilian ready so we needed to convey that in a simple straightforward way. 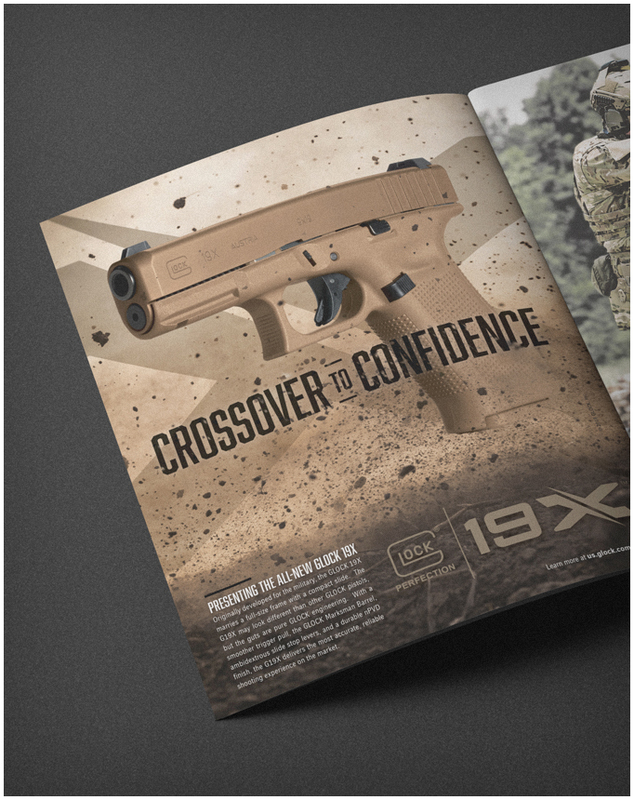 Crossover to Confidence became the messaging that could bridge the gap between civilian and duty use. 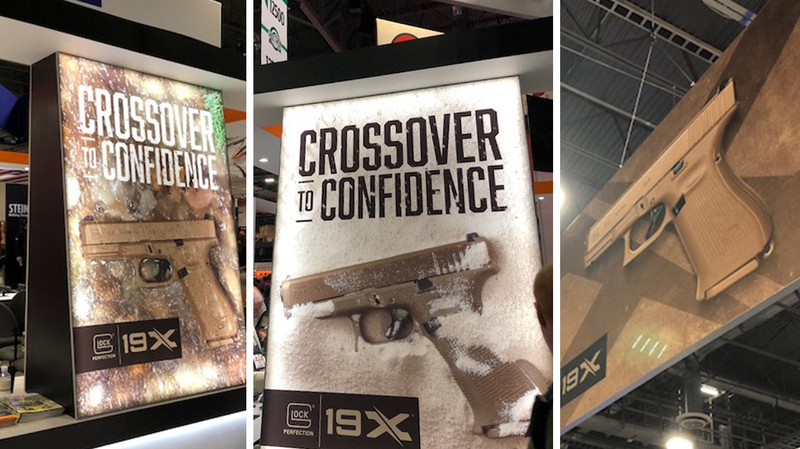 We designed the campaign visuals as an ode to the rigorous testing and multiple applications of the pistols use whether it be military contractor or civilian. Along with the creation of a custom logo, we produced photography, event graphics as well as print and digital advertising to support the debut. Ready to launch your brand? ©2019 CraterDust, LLC. All Rights Reserved.